The Gift of Truth, Inc.: Beware of Pride! Tonight, I decided to catch up on my bible reading plan that I started over a month ago! After reading a couple of excerpts, I came across one that made me stop and ponder. The title of the excerpt was "Honesty" but as I began to read the scripture reference, it made me shift my focus to pride. "When pride comes, then comes disgrace, but with humility comes wisdom." "Pride makes you think more of yourself than you ought to. Prideful people are limited to their own understanding because they aren't open to learning from others or asking others for help. Humility on the contrary births wisdom because it makes you teachable. Humility makes you conscious of your own humanity...your flaws and shortcomings. Pride prohibits you from learning from others and from your own mistakes because it convinces you that you are always right." The scripture really made me see the value in humility. It also made me evaluate myself and how damaging my prideful ways can be to my personal and spiritual growth. I also realized how we (Christians) minimize pride as if it doesn't displease God. 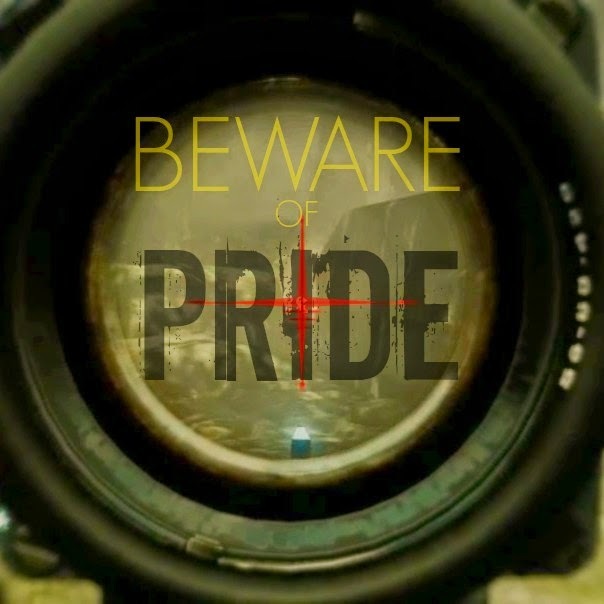 Pride is a sin and the bible (particularly the book of Proverbs) warns us repeatedly against it. Pride is defined as "a high or inordinate opinion of one's own dignity, importance, merit,or superiority, whether as cherished in the mind or as displayed inbearing, conduct, etc." Pride is really the sin from which other sins are birthed. It was pride that got Lucifer kicked out of heaven. Remember? 1. Read Proverbs 11 for yourself. 2. Evaluate yourself and pray that God would rid you pride.